Kids and adults can create these book marks for themselves or as gifts. 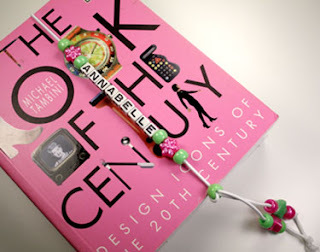 This design features beads strung onto elastic creating non-slip bookmarks that are practical and cute! 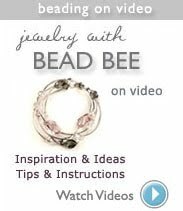 A bead is strategically placed to adjust the band to fit different size books so it won't accidentally slip out. 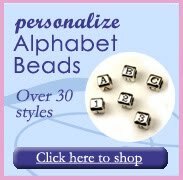 Alphabet beads identify the book's owner and decorative plastic beads express personality. 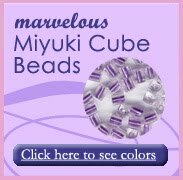 This example features 6mm plastic alphabet cube beads and plastic pony beads & flower beads.